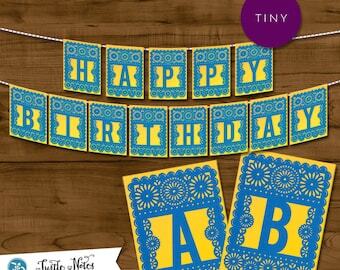 Quantity: Includes the full alphabet, 0-9, !, &, 'S, IS, st, nd, rd, th, a blank banner, cactus, and sugar skull. 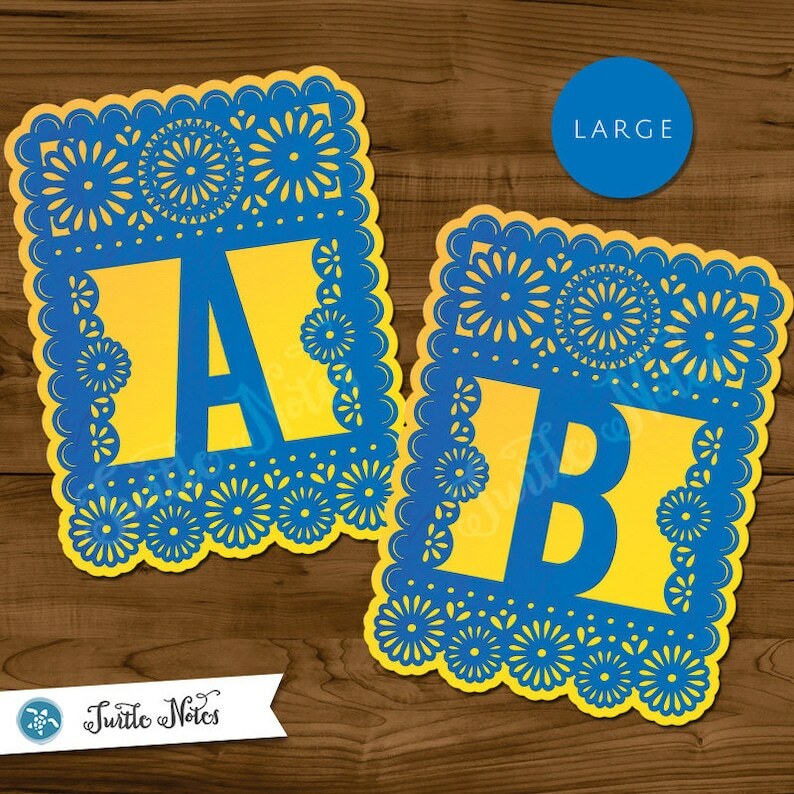 Size: Print on 8.5" x 11" card stock, printed size after trimming is a bit smaller than 7.5" x 10"
Print on sturdy paper, card stock is recommended, then trim down, either leave as rectangle with straight edges or follow the edge of the blue and create a scallop edge. Then string up with string, twine, ribbon, or tape to wall, table, or any way you want to decorate your party.